Hello, I was hoping you could help me choose a base in Phuket that will be good for myself and my 8 year old son. I have narrowed it down to the places in the list below as these are the ones that have accommodation right on the beach that I can afford. I don't want to be in a Honeymoon kind of spot, or a Club Med style family place. We will be wanting to do boat trips and kayaking rather than sitting on a beach all day but we want to wake up and have the sea right next to us. It's always hard trying to pick were you want to stay and all the resorts that you have chosen are beautiful and are very well suited for a family vacation. The Radisson Blu Plaza have a complimentary shuttle service twice a day into Phuket Town, and there are a couple of local restaurants close by, the resort also provides activities such as windsurfing and kayaking free of charge. Serenity Resort runs a free shuttle bus to Nai-Harn beach every morning and will return you back to the resort in the afternoon. They also have a shuttle that goes into Patong and Phuket Town every day. There are a few restaurants & cafes within walking distance from the resort. 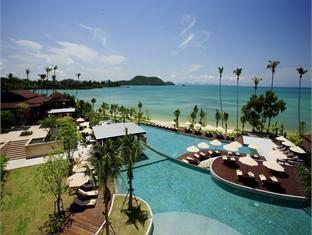 Both these resorts are located on the eastern side of Phuket, much quieter then some of the west coast beaches. If you are planning on swimming in the ocean the better swimming beaches are found on the west coast. 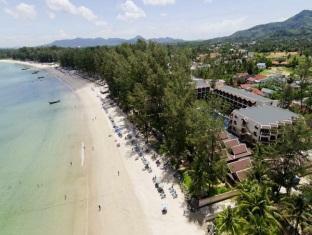 Kamala Beach Resort and the Best Western resort at Bangtao are located on the West facing beaches. A popular family resort at Bangtao beach is the Laguna Beach Resort, part of the Laguna complex with plenty of activities to keep the kids happy. I love Bangtao Beach, but found we spent a lot on taxis getting around, however there are great restaurants on the beachfront that have amazing food and the prices are so cheap. Sunwing Resort at Kamala is built for families vacations, where as the Kamala Beach Resort that is located on the other half of the property, is designated for adults, or children 15 and over. 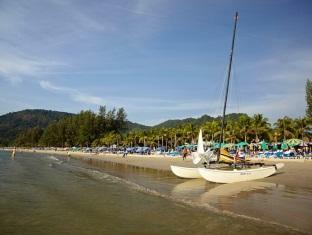 The Sunwing Resort at Kamala Beach would be an ideal choice, with seven swimming pools, a spa, and a wide range of activities for kids. 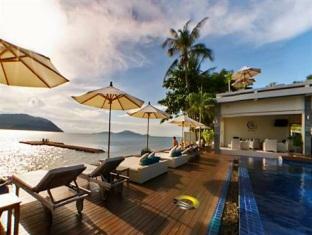 There is also a selection of places to eat within walking distance and is closer if you want to go shopping in Patong. I am sure no matter where you stay you will have a wonderful holiday as well as enjoying quality time with your son.